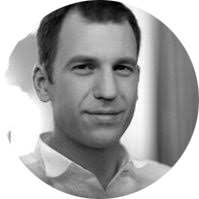 Michael Standaert is a freelance journalist based in Shenzhen, the e-cigarette manufacturing capital of the world. He primarily writes for Bloomberg Environment, and has also recently contributed to YaleEnvironment360, MIT Technology Review, the South China Morning Post, and on sustainable investing for ImpactAlpha. He has lived in China since 2007, first in Beijing and then in Shenzhen since 2010. Michael covers China for ECigIntelligence, especially news and events in the e-cig capital, Shenzhen.